June ’08 to August ’08. 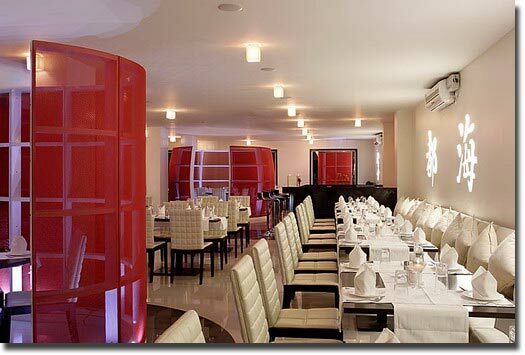 The design of this Chinese cuisine restaurant in Bangalore steers clear of two dimensional elements and gaudy colours that define such restaurants in India. Private dining spaces are screened off in mesh fabric that represent and evoke outsized Chinese lanterns. Lit from the floor, they glow in the mood lighting of the space. The bar backdrop is rendered in subtle cloud pattern reminiscent of Chinese motifs and imagery. With a stark black wall that runs the entire length of the property as a backdrop and the overall neutral colours, the space defers to the cuisine that it serves.